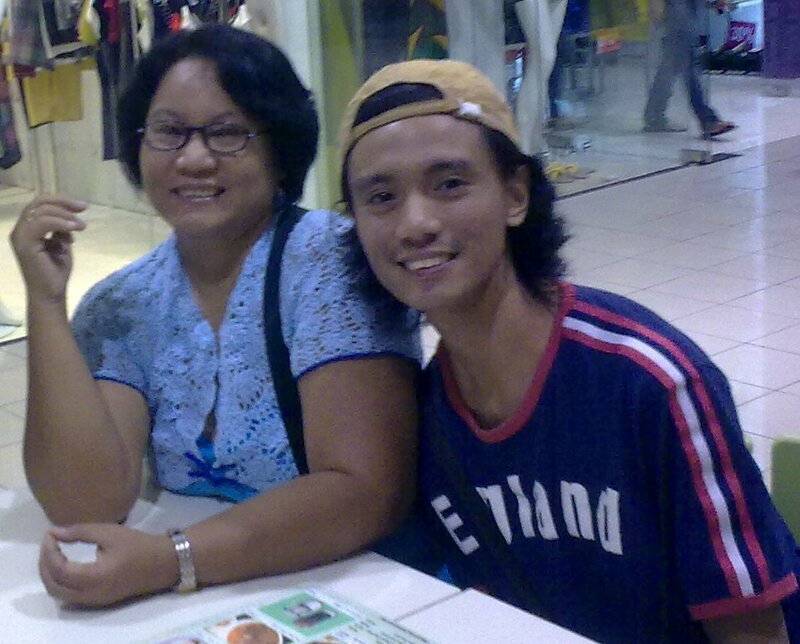 This is tita nelia, my fiance’s mother. 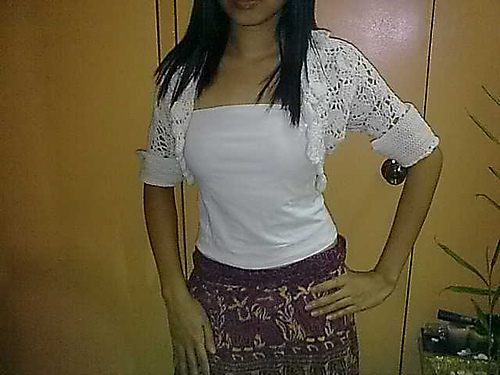 Once she asked me to make her a bolero and I made a version of bongga bolero – biggie sized. Tita nelia, actually loved what i made for her. This is the first big bolero I made. 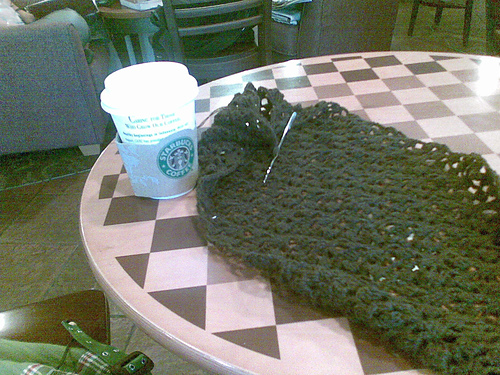 I used a lace-weight yarn using 1.40mm hook size. It took me so long to finish this, just in time for her return to the country. 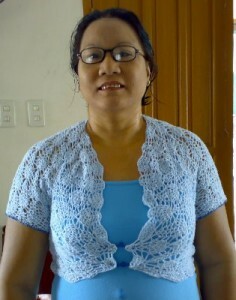 This entry was posted in Blog, Crochet, Gawang Gantsilyo and tagged crochet bolero on October 27, 2009 by Lorelie Dazo. 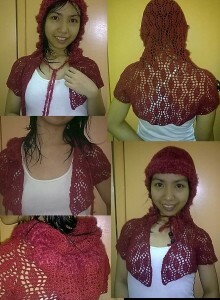 This is a short-sleeved hooded bolero in deep red cotton yarn accented with mohair yarn around the borders of the hood. Stitches are the same as what is used in the winter solace bolero. 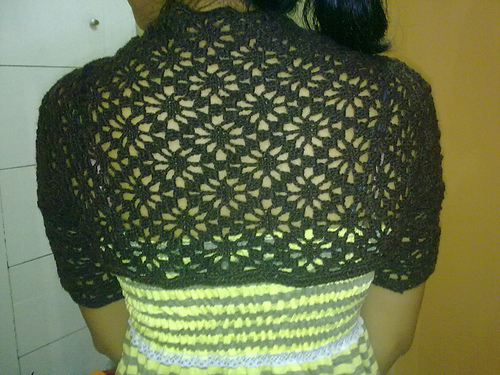 This entry was posted in Blog, Crochet, Gawang Gantsilyo and tagged crochet bolero on October 11, 2009 by Lorelie Dazo.